Emily Niehaus was working as a loan officer when she see realized that there was a need for affordable, sustainable housing options in her community. 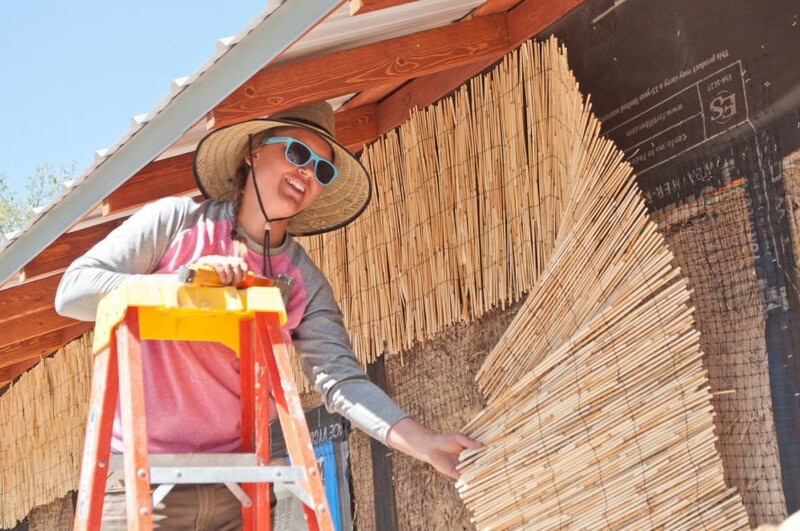 So she founded Community Rebuilds – a nonprofit that teaches people to build affordable homes out of “dirt cheap” materials like clay, straw and soil. Interns participate in a 5-month program, completing two homes from foundation to finish using sustainable living principles. Community Rebuilds started in Moab, UT as a way to ease the financial strains of people living in the community. Since then, the project has spread to southwestern Colorado and the Hopi Reservation in Arizona. 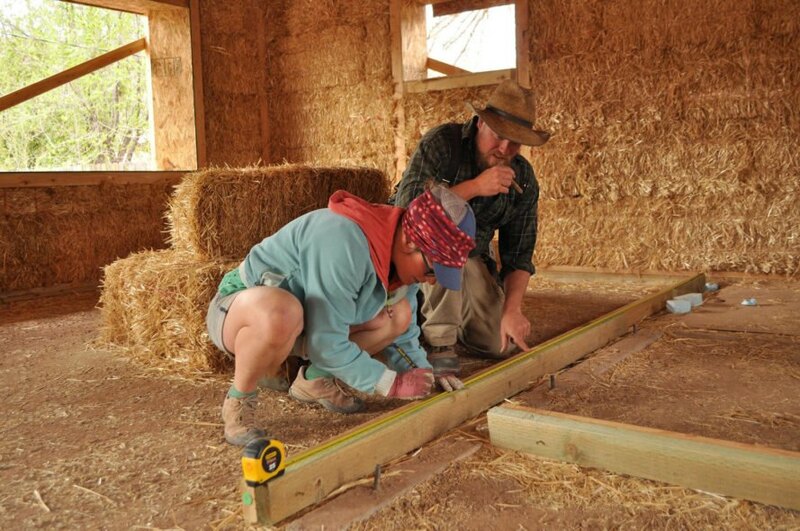 The initiative has constructed 25 homes in four communities with the goal of expanding knowledge about valuable natural building skills across the US. Homes are built out of natural materials like straw, soil and clay using passive design techniques. They are equipped with green tech like solar arrays and sustainable features like adobe floors, earthen plasters and greywater systems. The first home was built in 2010, and since then the internship has evolved to include 16 people over a five-month term. Interns build two homes from the ground up. In exchange for their labor they get housing, food and an invaluable education in sustainable building. Emily Niehaus was working as a loan officer when she see realized that there was a need for affordable, sustainable housing options in her community. So she founded Community Rebuilds - a nonprofit that teaches people to build affordable homes out of "dirt cheap" materials like clay, straw and soil. Interns participate in a 5-month program, completing two homes from foundation to finish using sustainable living principles. 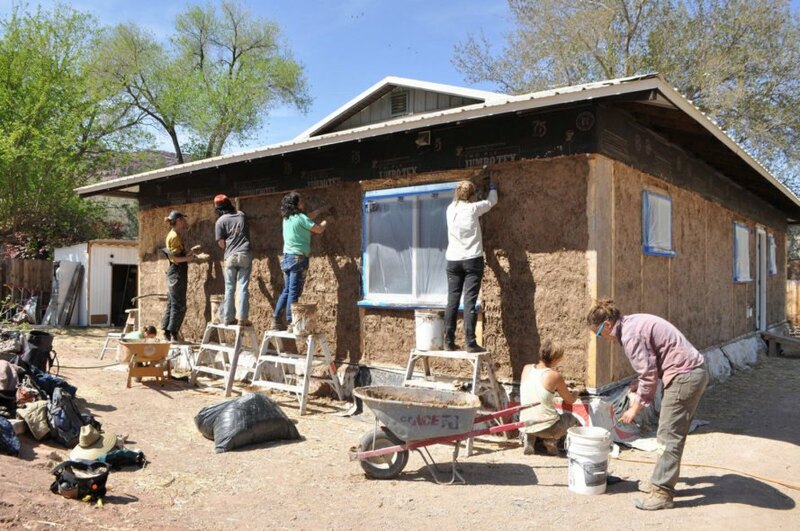 Community Rebuilds home, Moab, Utah. Community Rebuilds started in Moab, UT as a way to ease the financial strains of people living in the community. 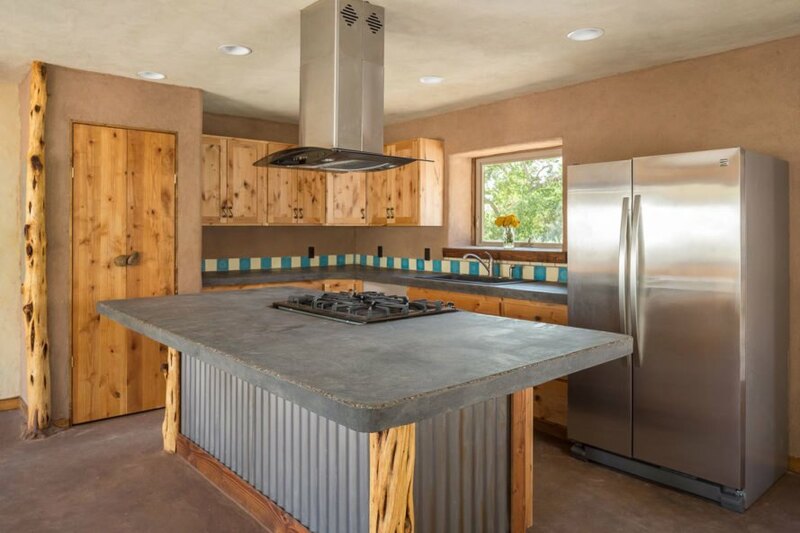 Since then, the project has spread to southwestern Colorado and the Hopi Reservation in Arizona and has constructed 25 homes in four communities with the goal of expanding knowledge about valuable natural building skills across the US. Homes are built out of natural materials like straw, soil and clay with passive solar design. They are equipped with green tech like solar arrays and sustainable features like adobe floors, earthen plasters and greywater systems. Community Rebuild house, Moab, Utah.